Did you know that roughly one million Americans live in some type of senior living community? According to American Senior Communities, that number is expected to double by 2030! With the growing aging population, offerings to suit their needs and their lifestyles are increasing. For assisted living residents wishing to remain quite independent and socially active, the below design concepts have become favorable when determining in which senior living community to reside. Continue reading below for some design concepts that your residents are sure to love! “Let’s meet for a drink” doesn’t just apply to younger generations. It’s a normal activity for adults of all generations, and maintains a sense of normalcy in life when moving from a house or apartment to a senior living community. Not only is it a normal activity, but having it in your community feels like a treat and encourages socialization. Include a bar in your offerings and host regular happy hours and special events as part of your effort to design a happy, healthy program at your assisted living community. While seniors in assisted living communities may be more independent than other seniors, traveling to outside entertainment may not always be an option. Bringing in outside entertainment and educational services broadens the sense of community beyond in-house staff & resident interaction. Theaters, auditoriums or lecture rooms are all examples of multi-purpose rooms. Assisted living communities can build in intergenerational spaces in both small and big ways that residents will love. For example, modest family rooms are a great way to incorporate intergenerational living on a small scale, while partnerships with universities and onsite daycares is an example of incorporating it a larger scale. Seniors do not want to feel that they are no longer included in their normal community happenings. Being involved with people of all generations, from young children, to college students, to middle-age adults is stimulating and important. 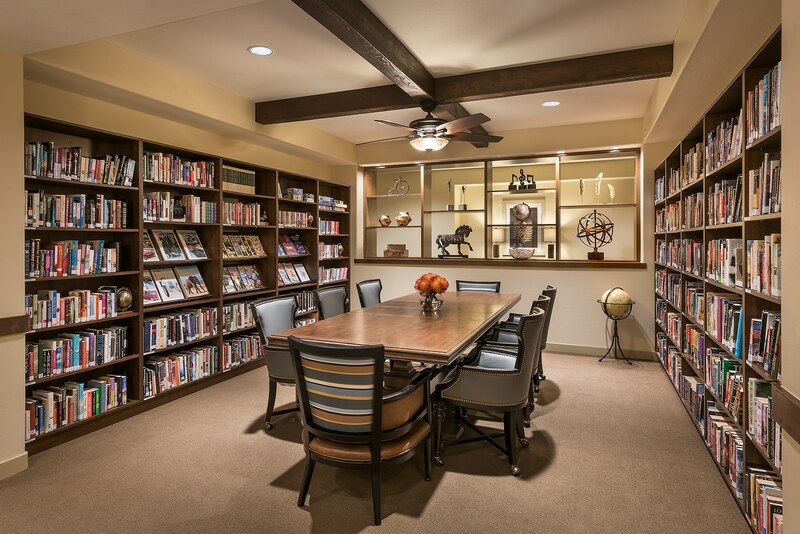 One of the latest trends in senior living design is the inclusion of multiple dining options. Compared to the past, today’s senior and assisted living communities now offer bistros or “grab-and-go” dining options so that residents can grab a quick bite instead sitting down in a formal dining room for every meal. For seniors in assisted living, maintaining independence and regular activity is key. Communities in an urban or downtown-type environment, or an area with walkability, is a desirable feature. This allows the individual easier access to local stores, restaurants, coffee shops, grocery stores and more. Visit our portfolio of independent and assisted living projects to view examples of these concepts. Contact us if you’d like to speak about how we can help you design or remodel an assisted living community that your residents will love!